How Much Does An Eighth of Weed Weigh? Marijuana veterans are knowledgeable about everything cannabis. Newbies, however, can get lost in the lingo. Cannabis is measured in so many ways that it can get confusing. Now either you’re scared to ask someone or are worried that your cooler friends may make fun of you. As someone who knows where to buy cannabis, you must also know how much an eighth of weed weighs. So How Much Does An Eighth of Weed Weigh? Even before cannabis was legalized, it was usually measured in eighths. And it's still the most commonly sold in dispensaries even today. Cannabis is measured in both the metric and ​imperial system. An eighth of what? What’s the weight and size? But since everybody follows these measurements you need to get them down pat. Even as a beginner, you perhaps know that all cannabis isn’t the same. For example, an eighth of one strain may differ from another strain that’s fluffy and light. But, no matter what strain you buy, an eighth will always be an eighth of cannabis. Put simply, an eighth of cannabis refers to an eighth of an ounce, and an ounce measures 28.3495 grams. Since you need only an eighth of an ounce, it is 28.3495/8 = 3.54688 or 3.5 grams of cannabis when rounding off. An eighth, especially at 3.5 grams may seem very light, but it gives you a decent amount. In the United States, an eighth is pretty common, and the term is universal. However, in Canada you'd actually call it half a quarter. On the streets, you might hear someone referring to an eighth as a “slice” since a slice of a regular pizza is about an eighth of an entire pie. Others also refer to it as the "cut," but no matter what you call it, you usually get 3.5 grams of cannabis. You know that an eighth of cannabis will get you 3.5 grams, but if you're a beginner, then you're probably clueless about how long it may last. The answer depends on your smoking style, including whether you’re a frequent or occasional smoker. To understand this better, we can even look at the amount of cannabis required to make a joint. A study stated that a joint needs about 0.32 grams. But, since the weight depends on how you roll your joint, a typical joint can weigh anywhere from 0.3 to 0.6 grams. Some people love blunts that are packed tightly and can even go up to 1 gram per joint. So, depending on how much you smoke, you can easily calculate the answer. For instance, if you smoke a joint a day, an eighth can last anywhere from 5-7 days, but if you smoke more or prefer blunts, an eighth may last only for 3-4 days. For people that toke cannabis in a bong, a bowl can fit up to 1 gram, and if you smoke a bowl a day, an eighth will last only for three days. An eighth of cannabis weighs 3.5 grams, but what about the size, you ask? Depending on how your cannabis is grown and how dry and fluffy it is, you get a decent amount for an eighth. While dry buds could get you at least a pocketful, you could get only 2-4 buds if they are heavy, but since you’re getting 3.5 grams no matter what, it doesn’t matter. This is perhaps the most important part for most smokers since dank sensimilla cannabis can be expensive depending on the quality. If you’re lucky enough to reside in a location that has legalized marijuana, the prices are stable. However, you might have to struggle a bit if your only source is your dealer. Sometimes, the dealer might try to charge more if he senses that you’re desperate, but quality also plays a major role. While strains that are in high demand can cost anywhere from $60 to $70, it only costs about $30 in states like Oregon. In California, you might have to shell out even $40 for an eighth. But you might have to pay more if the dispensary or dealer has some high-quality dope that’s guaranteed to make you fly. 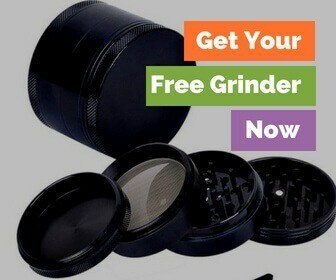 Being a regular at your local dispensary may land you a few bargains, so watch out for discounts. An eighth is the perfect amount for a beginner who wants to get his feet wet or a weekend with your buddies. 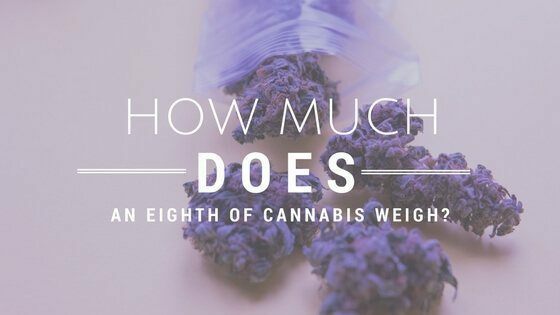 So, how much does an eighth of weed weigh? Short answer is going to be 3.5 grams. It's called an eighth because it's an eighth of an ounce. While it may not look like a lot, an eighth can go a long way. Especially if you have some really high-quality cannabis! What quanity do you usually buy in? We'd love to hear it in the comments below!